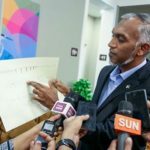 “The first two pillars out of CMFB’s main pillars (pier 22 and pier 23) to be connected with the superstructure were connected last night,” Housing Minister Dr Mohamed Muiz tweeted. 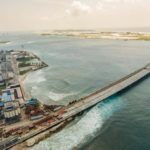 Two main pillars of the ‘China-Maldives Friendship Bridge’ under construction between Malé and the airport island were joined Saturday night. 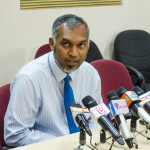 “The first two pillars out of CMFB’s main pillars (pier 22 and pier 23) to be connected with the superstructure were connected last night,” Housing Minister Dr Mohamed Muizz tweeted. 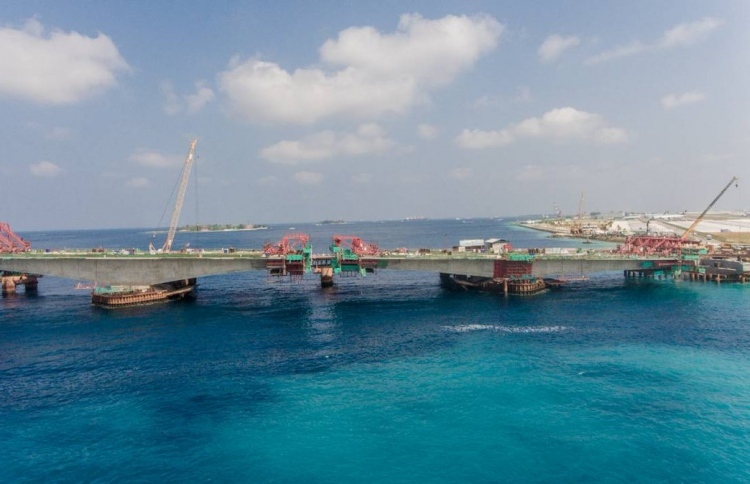 The government hopes to open the bridge before presidential elections in September. 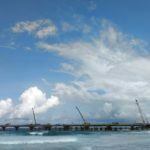 Concrete works and the main steelwork would be completed by the first week of July, Muizz previously said. 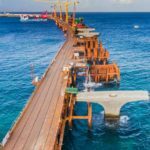 Work on the superstructure began after 50-metre-long fully manufactured box girders were shipped from China. 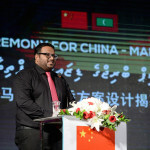 The US$200 million project was launched in December 2015 with Chinese grant aid and concessional loans.